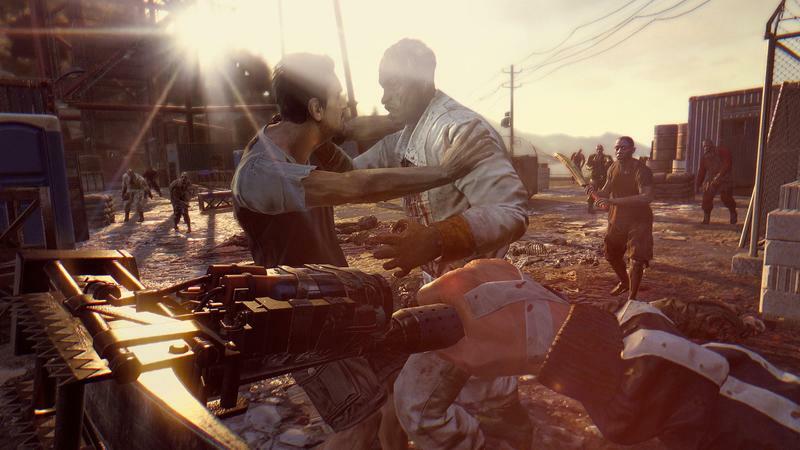 Dying Light Hands-On Preview - The Zombies Are Everywhere! Consider me pleasantly surprised, ladies and germs. It’s not that I thought Dying Light, the upcoming open world zombie romp from Techland, was going to be a bad game by any stretch of the imagination. It’s that I didn’t think it was going to add anything new to the crowded genre. Like I said, I’m pleasantly surprised. I had a chance to go hands-on with Dying Light for roughly 30 minutes today at E3. In that time, I ran from zombies in the daylight, snuck by them after the sun set and activated a safe spot. That content went down in early game form. I hit a time jump and was treated to some late game action with a much stronger, beefier character. Now, if you need your memory jogged or you’d like to get the general early buzz from Dying Light, the game can roughly and easily be summed up as Mirror’s Edge in an open world with zombies. That’s an approximation, to say the least, and my time with the game showed that the description barely scratches the surfaces of what Dying Light is. As far as I can tell, this game is about the struggle of humanity in a world consumed by undead. You’ll have to parkour about the game’s space, yes, but you do so because fighting zombies is the more impossible and improbable task. It’s damn tough to beat back the undead, so sticking to rooftops and sprinting about the open space is your best bet when it comes to living. Heck, in my brief time with the game, I quickly learned that tangling with other human survivors is darn near impossible as well. Sure, you’ll be able to do some great damage once you build up your character with leveling, interesting skills and better weapons; but, the person I was running with at the onset of the demo? Weak sauce. You’ll get faster and stronger by doing things that require strength and speed. Running a lot makes your running faster. Climbing a lot makes your climbing better. Get it? You learn by doing, much like in games like Skyrim. So, you take this gradually growing character and surround him in hordes of zombies capable of rocking you in small groups. 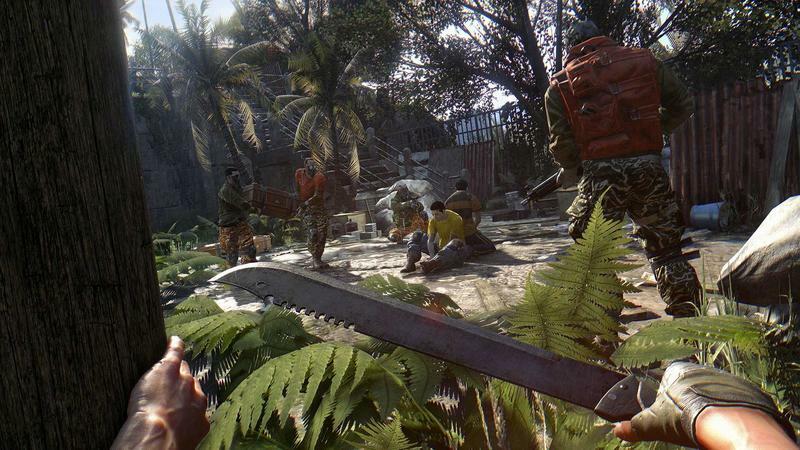 That’s Dying Light, a game that presents zombies in a more interesting and challenging way. Running really is your best bet in this one, though combat works just fine. At night? My experience with this was brief. There are special zombies that you can detect with your extra sense by clicking in the right and left analog sticks on the controller. These guys, according to the guy from Techland helping me through my demo, are bad news. We snuck around them, sticking to rooftops and creating distractions in the right places in order to stay clear. Dying Light, thanks to that, has this sort of tension with it. It felt like I was constantly trying to escape near death. That didn’t come in a way that was frustrating or tiring, but in one that was exhilarating and rough. Parkour felt necessary, as odd as that sounds. I needed to be able to deftly scale rooftops and cars. The human race depended on it. I’ll be doing so again when the game drops in 2015 for the PC, Xbox One, PlayStation 4, Xbox 360 and PlayStation 3. Will you?